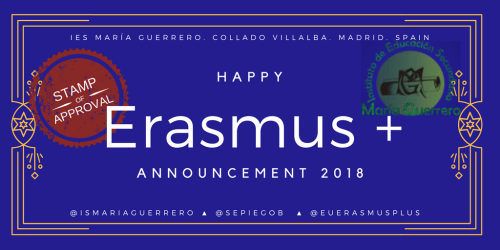 Not in my wildest dreams could I have imagined how the Erasmus project would change my life. 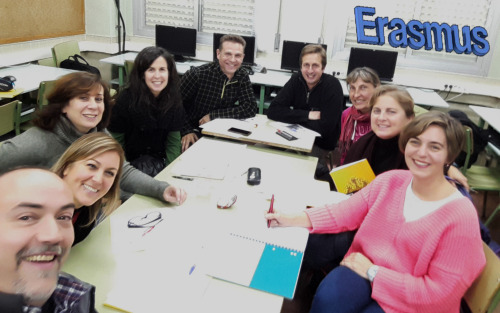 At the age of 45 and with a family to take care of I embarked, with a group of colleagues, on Utopia: to present an Erasmus project in our HE Institution (IES) for teacher training. Several meetings and many hours' work later, Europe opened its doors to us and Utopia became a reality. For IES María Guerrero, in Collado Villalba, internationalisation was just beginning. I want to stress that, above all, it’s been the team work and personal and professional relationships that have brought about such positive changes in my life. I have unforgettable European colleagues who it’s been a pleasure for me to know. Thanks to Eva Maria, my German soul mate, who helped me understand that the world is a better place thanks to Erasmus. Team of IES María Guerrero professionals who embarked on Erasmus.